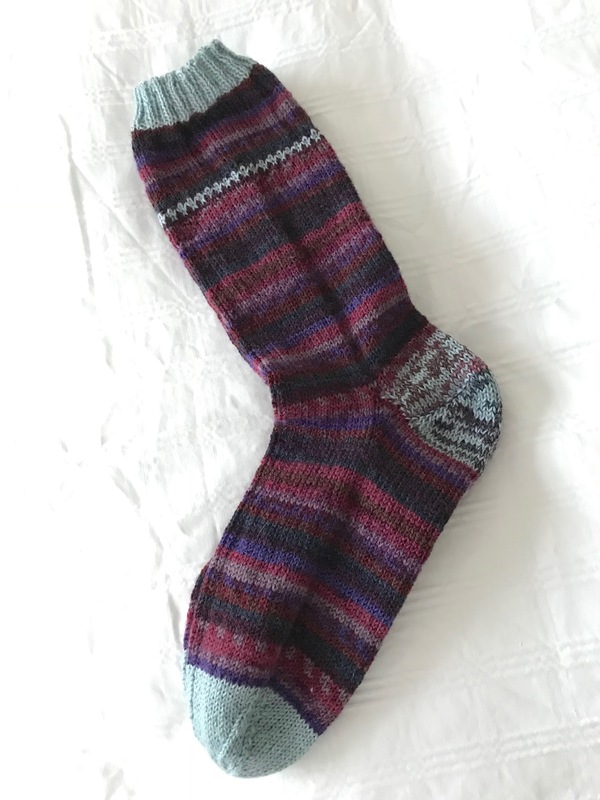 Completed these socks Friday evening. 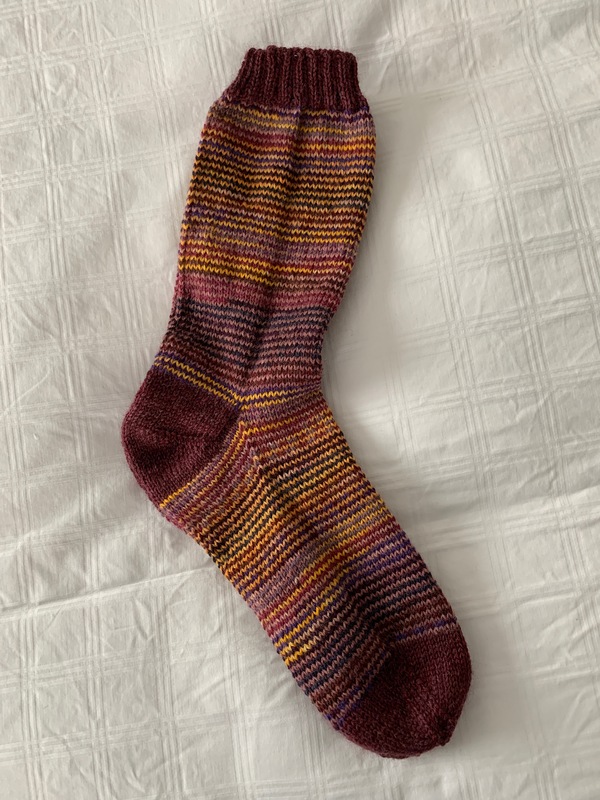 Again, the two socks came out a reasonably matched pair even though I didn’t really bother to align either yarn. 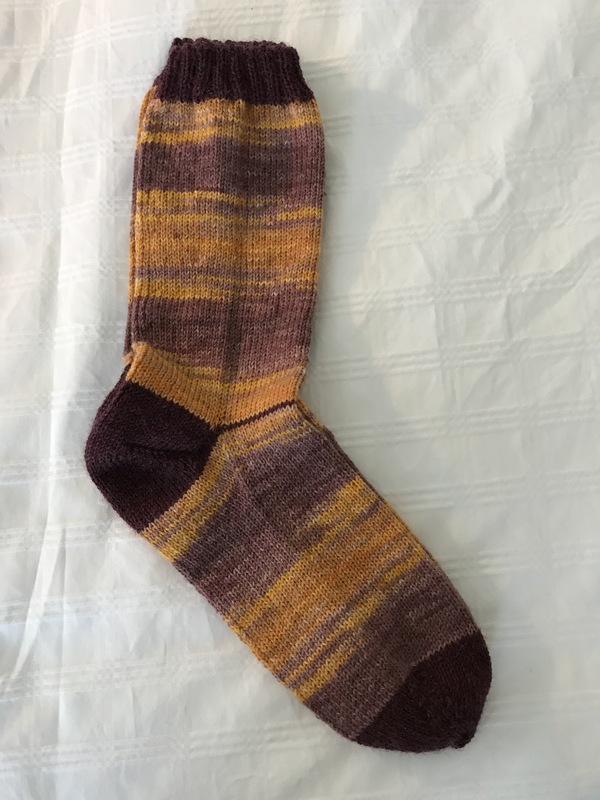 These socks look nothing like the original socks! Yesterday I began another pair from leftovers – this time I’m not going to interweave the yarns as I have for the previous two pairs, this time I’m planning on knitting a variable number of rows from each yarn in largish stripes to see how that will turn out. It will have the advantage of not having to change yarn every two needles as I knit in the round.